You may have heard a lot recently about 'antioxidants' – especially with regards to the fight against ageing. Everyone seems to be either talking about eating antioxidants or putting antioxidants on their skin! But just what are these substances that everyone is raving about? And how do they help combat the signs of ageing? Antioxidants are nutrients found in certain foods and plant matter which can prevent or reduce oxidative damage to our bodies. This damage is part of the natural ageing process so by preventing damage, antioxidants have an anti-ageing effect. ‘Free radicals’ are substances which can cause oxidative damage to your body tissues and they derive from external sources, such as UV radiation, pollution and chemicals and toxins ingested into the body from things like cigarettes, drugs and alcohol. In addition, our own bodies also release a certain amount of free radicals, as a by-product of normal cellular metabolic activity. If left unchecked, these free radicals will damage cell structures and contribute to conditions like cancer, diabetes, heart disease and macular degeneration. Antioxidants 'mop up' the free radicals which are produced in the course of our bodies’ normal functions and process, as well as from environmental sources such as pollution and UV radiation. They do this by assisting special enzymes within our bodies which are able to neutralise the free radicals and thus render them harmless. What’s the proof that they work? Various studies show the role antioxidants play in combating free radicals – in particular, research from London shows that 5 servings of fresh fruits and vegetables (which is high in antioxidants) can reduce your risk of stroke by 25%. 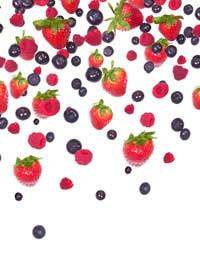 Other studies show that antioxidants improve immune function and thus lower your risk of infection and cancer. What types of antioxidants are there? oligomeric proanthocyanidin (OPC) – probably the most powerful antioxidant, shown by medical studies to be 50 times more effective than vitamin E and 20 times more effective than vitamin C in protecting the body from free radicals; best source is grapeseed extract. Note: Some experts feel that it is impossible to gain all the antioxidants you need from food sources alone, because of poor quality foods due to depleted soil, poor agricultural practices and the use of pesticides and preservatives – so they believe it is beneficial to take antioxidant supplements. How do antioxidants prevent ageing? When free radicals attack cell structures within our bodies, they damage cells and tissues and so cell turnover slows down, leading to the signs of ageing – for example, in skin, this leads to wrinkles, sagging and general dullness. While antioxidants cannot reverse the signs of ageing, they can help to prevent further damage by neutralizing free radicals and preventing further destruction and damage to cell structures, whilst also encouraging greater cell renewal.